Il Pomodorino (in Siena) | Just Visit Siena ! Pizza in Siena = Il pomodorino ! I know that last time was about food, very special for me . . . and as I see not only for me . . . chocolate! Also today about food, but two difference: it is not dolce, and it is dainty for Italy . . . so can be only Pizza ! You know very well (when you have been here), or you will learn very fast (when you will be here) that in Italy, in Siena you can get pizza or even one piece of pizza everywhere. It is a good idea to eat something fast for example during your sightseeing. However sometime you want to eat Italian pizza not in rush (as a fast lunch). Isn’t it great to taste it with a glass of red wine in one of our cozy place!? That’s why I want to suggest you today . . . Il pomodorino (http://www.ilpomodorino.com/)! There we go. And I can say without doubts that Il pomodorino offers one of the best pizzas in Siena, that is baked in wood-fuelled oven in compliance with the dictates of the Napolitan Pizza Academy. To prepare every pizza the freshest, top quality ingredients are used, such as Buffalo mozzarella D.O.P. from Campania. Menu is divided on Le Bianche (white pizza) and Le Rosse (red pizza). Don’t forget only about wine! You can find there a vast selection of Italian wines as well as of international beers and champagnes. What is more after pizza you can (if you have still some place in your stomach) take the extensive and constantly varied range of dessert that is skillfully prepared by one of Salerno’s historical patisserie shops. I am sure that you will be charmed by the interior of the restaurant (perfect for romantic dinner) like also by the external part. The second is my favorite. You can ask why. . . Because of the view of course, the best I guess in Siena. 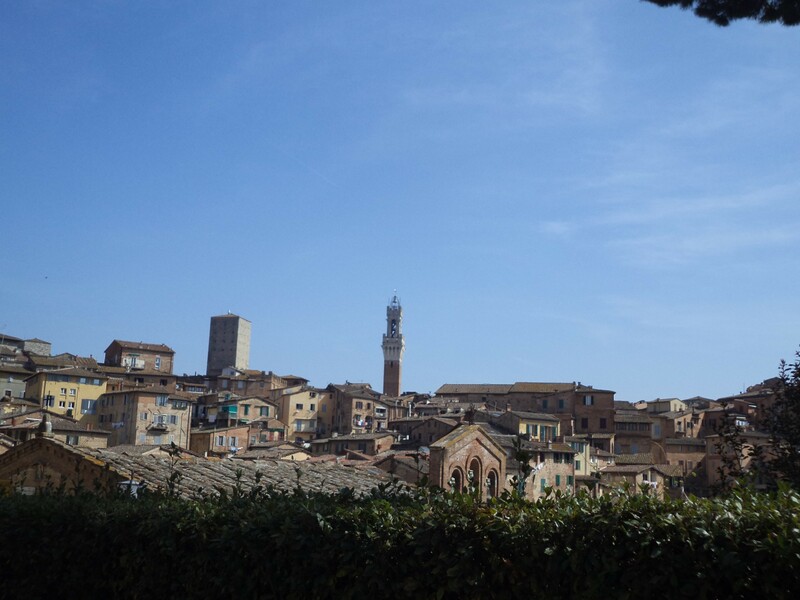 The restaurant is situated in one of the most charming corners overlooking a view of inimitable beauty comprising the cathedral, the del Mangia tower and the basilica of San Domenico (Via Camporegio, 13). 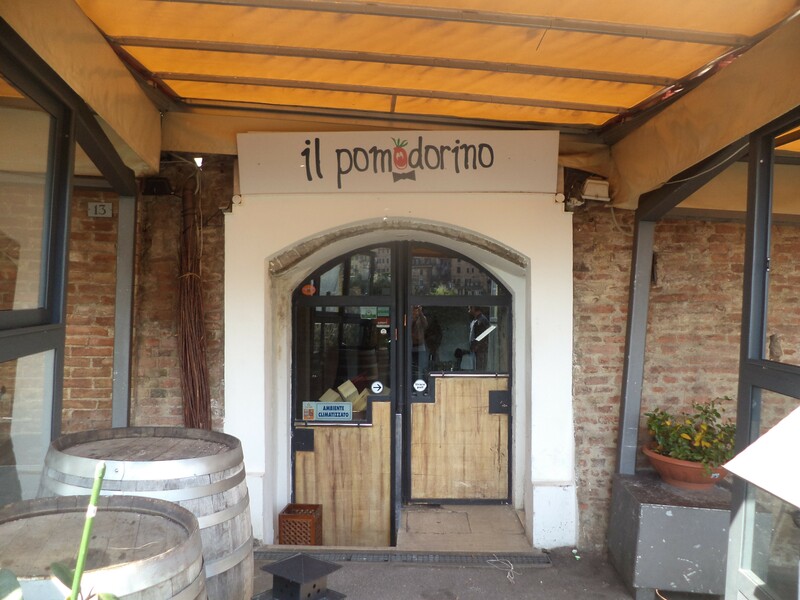 Il pomodorino is opened daily from 19:00 to 1:00. What is more from April to October also for lunch. And the last thing to remember is reservation. Trust me it is good to make it because after 8 pm becomes always very crowded with characteristic queue of waiting people in front of the local.